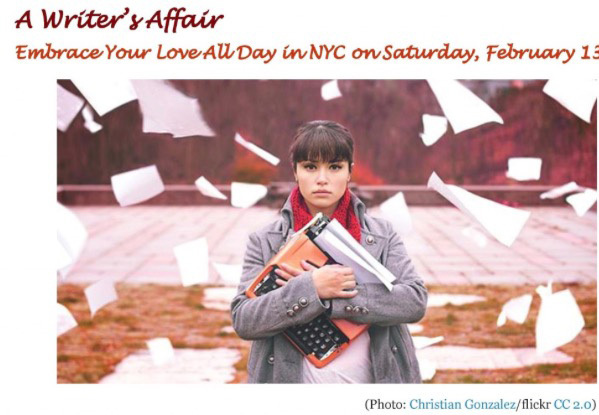 More than 100 novelists, memoirists, journalists, and writers of all genres attended the National Writers Union Fifth Annual Conference February 13 which started with a continental breakfast and a welcome message from NWU New York Co-chairs, Alexandra Faiz and Yusef Salaam. The conference focused on prime subjects, such as copyright, publicity tactics, technology, and networking. The conference was held at NWU headquarters, 256 West 38th Street. The conference fee was $20 for union members, $25 for students (student ID required) and seniors (65 or older); $40 for general admission. Susan E, Davis, an author of four nonfiction books and a columnist for a progressive weekly, spoke about the importance of writers understanding contracts and having knowledge of copyright law. A NWU member since 1987 as well as a co-chair of its Book Division since 2005 and its National Contract Advisor since 2007, Davis has extensive experience in her field. She talked about Copyright Law of the United States and the Digital Millennium Copyright Act. Troy Johnson, founder and webmaster of the African American Literature Book Club, described several ways writers can promote their work. They should use social networking because it can help increase their’ audience sizes as well as allow them to network with fellow writers. Johnson said successful posts can include pictures and video or both. Visual content is almost always a selling point. Johnson also suggested that writers use Google Analytics to help track website data. Miral Sattar, founder and CEO of Bibliocrunch, provided tips having an online profile. Sattar’s presentation focused on writing a short, yet powerful email and how to clean up a personal website. Sattar said it was important to clean URLs and have an effective sitemap. Sattar promoted a helpful plugin, Yoast . She also recommended authors to create an Amazon Pages profile, which can helpful to promote writers’ works and connect to a fan base. After the guest speakers delivered their productive speeches, attendees took a cordial lunch break. Throughout the rest of the afternoon, rotating 30-minute consultations took place. These were the times when attendees joined selected groups and met with an array of professionals. Distinguished persons included: Wo Chan; P&W Readings and Workshops Program, Esther Cohen; Nonprofit Sponsorships, Marcela Landres ; Editor, Jan Kardys; Literary Agent, Jo Anne Meekins; Social Media, Lallan Schoenstein; Graphic Artist, and Timothy Sheard; Self-Publishing. The NWU’s book conference provided a substantial amount of information from the guest speakers and the consultation groups and board members of NWU as well as the networking generated by the event. The diversity of the speakers catered to the diverse group of guests, whether they were recently published authors or student journalists eagerly looking for a publishing advantage. 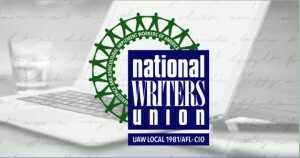 NWU is the only labor union that represents freelance writers in all genres, formats and media. Through its parent union, the United Auto Workers, the NWU is a member of the American Federation of Labor Organizations. For more information, contact the NWU New York Chapter by phone at (212) 254-0279 or by email at nwuny@nwu.org.